In the recent months, India’s 4G network base is growing exponentially after the renaissance of Jio 4G and Airtel 4G in India. However, the internet speed still lags and not competitive enough with the proposed rates. When we analyze geographically, the way the 4G penetration has happened in India is not only more significant but also penetrated faster and thanks to free Jio 4G that has raised the bars beyond expectations. But the question that arises always is, Do the 4G speed in India is Fast? What could be the reason why 4G in India is still slow when compared to other countries like South Korea or Singapore and even Pakistan? When we analyzed the data, it’s understood the average speed of 4G which Indian population is getting is 5.1Mbps which is nowhere in comparison with the total 4G speed in other countries. So we thought of explaining some of the common reasons that are responsible for slow 4G speed and tips and tricks to improve your 4G speed. 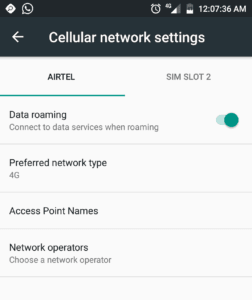 One of the main reasons for slow 4G speed in India is coverage issues. The speed of the internet is directly proportional to signal coverage. In India, none of the telecom operators like Airtel, Vodafone, Idea or Jio can fix the issue. And now with the penetration of Jio into telecom, has changed the strategy of pricing which in turns affected the speeds. The other reason which impacts your 4G speed is the no users in that particular location and the spectrum 850, 1800, 2300, 2500 to which mobile phone is latched to tower. Even the network capacity also plays the significant role. If the network is made of optical fiber rather than copper cable or wireless, then that region has good network capacity. Jio was successful in term of internet speed is because it has the most extensive optical Fiber Network followed by Airtel. So here Jio has the advantage over Airtel. 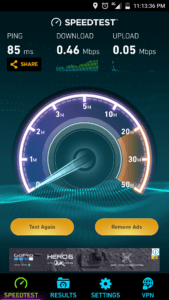 Tips and tricks to improve your 4G speed: Don’t blame your service provider. You might be wondering why these days your 4G is too slow? Don’t shift the blame onto your service providers. It’s because the spectrum of people started using 4G, it’s because of the increased range of smartphones with 4G LTE connectivity. Before raising the ticket with your telecom operator, it’s wise to do following tweaks to improve your 4G speeds. If you can understand, the 4G revolution has started in India only a year back. But there are smartphones with 4G LTE connectivity available longer than that. If your old smartphone supports 4G networks, then go to phone settings-Mobile networks and select the preferred type of network as “4G” by enabling it. You may also sometimes check your phones Access Point Network (APN). Choosing the right APN information is necessary. 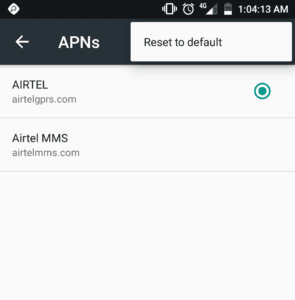 So reset your APN by going to your Phone’s settings- Mobile networks- Access point names- click on the menu at the top of the page and select to reset your APN to default. With the rise of affordable 4G smartphones in the market, we miss the fact that many phone makers use poor or inferior quality antennas. So even if your phone has an excellent processor, it is not necessary that it has the best antenna in it. In areas with signal issues, these antennas struggle to get the reception right, leading to poor speed as well. Make sure you choose the right phone when making your next smartphone purchase. By the way, you know, the new Mi Mix 2 has most range of network bands which will make Xiaomi Mi Mix 2 fastest device to work over the internet. Your smartphone’s 4G internet speed also depends on the usage of resource-intensive social networking applications like Facebook, Twitter, Instagram, etc. These apps will slow down your internet speeds and can also result in a significant amount of data being consumed due to their tendency to autoplay the videos. So tweak these apps by disabling the autoplay option will decrease the bandwidth usage and also reduces the unnecessary data wastage. While using browsers like Chrome and opera, make sure to enable the data saver mode which reduces the load time of the web page by compressing the content to 70%. So by following some of the necessary tweaks, you can improve your 4G speeds. As per the expert’s analysis, the switch from 3G to 4G in the country is happening much faster than the how we upgraded from 2G to 3G. Also when 4G was launched, the average speed was recorded as 2Mbps, which was quickly moved to 5Mbps now. So it is anticipated that very soon faster transition in 4G speeds will happen from 5Mbps to 10Mbps on cards. So, Cheer up people, India would transform itself with the lightning fast internet. I have poor signal but still feels service providers can control speed of individual or group of individual or on type value of data pack or by area etc to control server load . There by they are all cheating consumers. Ex if your data plan exceeds automatically you are shifted to slow speed . if this is possible for individual number they can restrict speed of individual?? ?